The Iowa DOT TAMP [Draft] is available here. The draft TAMP provides an overview of Iowa's asset management practices and their plans for future development. 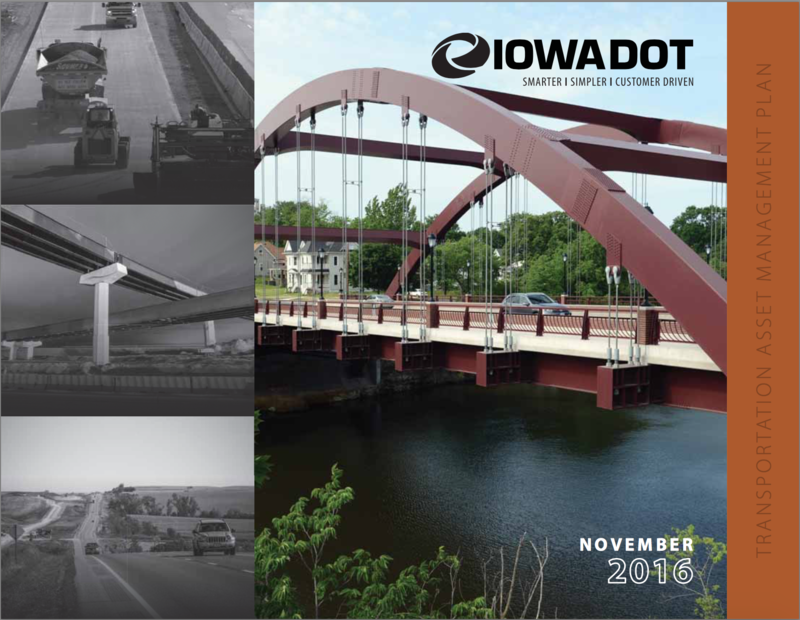 Areas of focus include the Iowa DOT financial plan, risk management, investment strategies, and asset management implementation. This document includes the following sections: Current Methods and Tools, Financial Plan, Introduction, Inventory and Condition, Investment Strategies, Objectives and Measures, Performance Assessment, Process Improvements, Regulatory and Legislative Requirements, Risk Management.